Does Soda Affect Your Lungs? Indulging in a cold can of soda may perk you up, but drinking soda too frequently can be bad for your health. The high sugar content increases your risk of dental cavities and causes your blood sugar levels to fluctuate. Caffeinated or diet sodas may also affect your lungs because key ingredients modulate respiratory system activity. Talk to your doctor about your soda consumption to make sure it is safe for you. Although the specific recipes of different sodas are proprietary information, most brands of soda contain the same basic ingredients. Soft drinks typically consist of carbonated water, citric acid, sweeteners, and natural and artificial flavors. For example, the main ingredients in Coke include fluid extract of coca, citric acid, caffeine, sugar, water, lime juice and several flavored oils. Caffeine is a stimulant that interacts with your brain chemicals to prevent you from becoming tired. Caffeine also acts as a stimulant on other parts of your body, including your respiratory system. Drinking caffeinated soda causes your respiratory system to increase its activity, making your lungs expand and contract more frequently. In a meta-analysis published by the "Cochrane Database of Scientific Reviews" in 2010, researcher E.J. Walsh found that people with asthma who consumed caffeine experienced improved lung functioning for several hours. Thus, drinking caffeinated soda in low doses may facilitate lung activity in certain groups of people. Many diet sodas add artificial sweeteners such as aspartame to reduce the number of calories per serving. According to physician Joseph Mercola, a holistic medicine advocate, aspartame may negatively affect your respiratory activity. Some people experience shortness of breath and other breathing difficulties after drinking beverages containing aspartame. More research is needed to document the physiological pathway by which aspartame and other artificial sweeteners affect lung activity. Not everyone experiences changes in respiratory activity after drinking soda, and there is not much substantial evidence to prove negative effects. However, drinking large amounts of soda may cause increased heart rate and rapid breathing, primarily from high sugar or caffeine content. Drinking soda in small quantities minimizes its effect on your lungs, so talk to your doctor about an appropriate amount of soda for you. 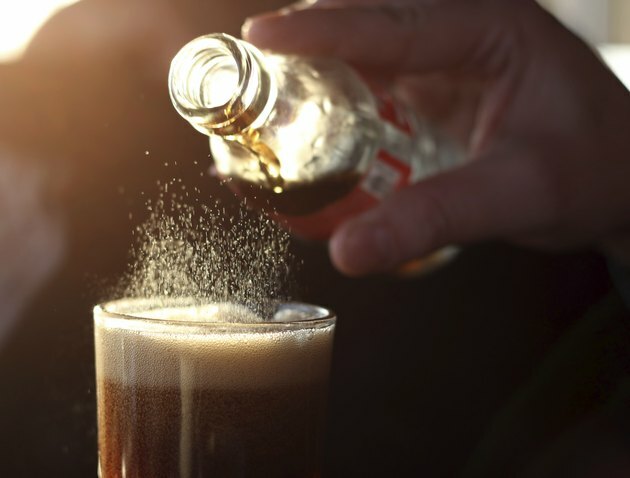 Does Soda Affect Your Brain?